The 2 + 2 dialogue has apparently delivered more than was expected of it. However, the provisions of CAATSA have not yet been formally waived in the Indian case. India has strong bonds with the Russians and Iranians. Its defence inventory is hugely Russian heavy. Further, India wouldn’t like to be sitting opposite the US as a subservient partner. Similarly, Chabahar Port provides a huge opportunity for trade and commerce with Afghanistan and Central Asian countries. The stakes for India are high. Hopefully, the gains at Delhi in the 2 + 2 summit will actually fructify with US waivers materialising. The author’s article examines the issues that influence. 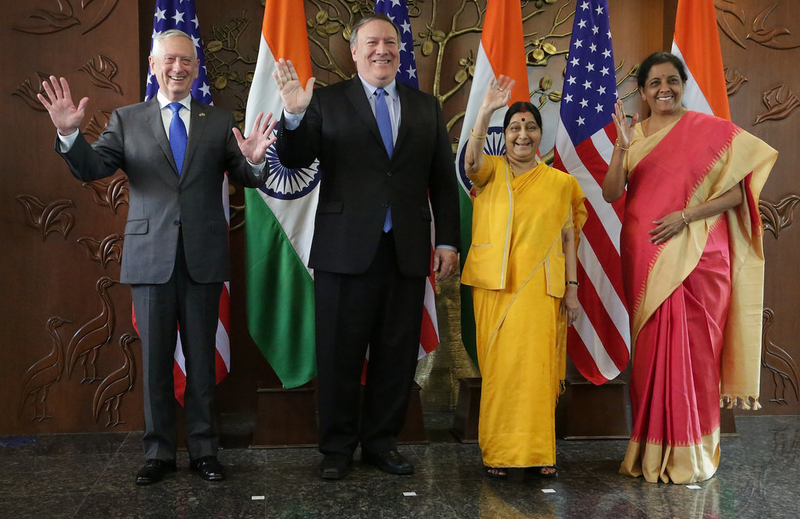 On 6 September 2018, India and USA held the landmark 2+2 dialogue in New Delhi. The meet has operationalised the strategic relationship between the two nations by the signing of the India specific Communication Compatibility and Security Agreement (COMCOSA). India will now get access to Combined Enterprise Regional Information Exchange System (CENTRIXS) which is the secure communication network system of US. Indian naval ships and aerial platforms with CENTRIXS on board will now have the situational awareness of the deployment of friendly and hostile naval assets in the Indo Pacific region. Access to US imagery and Communication Intelligence are other gains amongst many. It also opens US market of Sea Guardian, armed drones and other hi-end technology, denied to India till date. to have easy access to the US defence hi-end technology and is expected to be done soon. However, 2+2 is not just about defence and trade agreements and has far wider geopolitical ramifications. With respect to trade, the 2+2 meet didn’t clarify restoration of India’s status of Generalised System of Preferences (GSP) or of waiver of Steel and Aluminum tariffs by the US. Instead, the US officials advised India to reduce the trade surplus it enjoys, by buying US aircrafts and increasing import of US gas and oil. They also stated that India should stop buying oil from Iran by 4 November 2018. US also didn’t clarify its stand on waiver of its sanctions for our commitment to the Iranian port project at Chabahar and purchase of five Russian S 400 Air Defence Missile systems. The world is witnessing a new “Great Game” unfolding. The game encompasses dominance of sea routes and ports in the Indo Pacific region. For US, its foremost priority is to curb the rise of China. The Indo US Strategic partnership appears, at the face of it, a partnership to counter the growing influence of China in S and SE Asia and the world. China – India trade totals nearly $85 billion, with a rise of 40% Indian export and an overall increase of 18.63% in trade registered in 2017. China and India are geographical neighbours sharing a long boundary and a long history of peaceful co-existence, barring the 1962 war and the limited flare up in 1967. With the booming trade with China and its strategic relations with US, India finds itself in a bind, in respect to China. Historically, India and Iran have always enjoyed a deep relationship. In 2012, when US administration increased the severity of its sanctions on Iran, India circumvented the sanctions for import of oil from Iran, by a “Rupee Rial” agreement, which enabled it to pay 55 percent of the Iranian dues by Euro. The balance 45 per cent was kept in Indian Rupees, in UCO Bank, to enable Iran to pay for imports from India. India today imports 40% of its crude requirement from Iran. To completely stop this purchase is not an option for India and doing so will reflect India as a nation succumbing to US diktat. 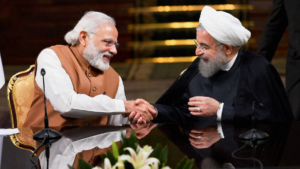 India is also developing two terminals of Chabahar Port in Iran at a cost of $ 85 million, to use these on a ten-year lease. On 7 September. 2018, Iran informed India that it will hand over the Chabahr Port to India in October, 2018. India is also committed to build a $ 1.6 billion railway Line from Chabahar to Iranian town of Zahedan, near South West border of Afghanistan. This will enable India to circumvent the land route to Afghanistan via Pakistan. It will also give it access to Russia and Central Asian markets and through Central Asia to Europe. The US sanctions on Iran and its non-waiver for India has put India on a slippery road in its relations with Iran and put its own strategic interests in jeopardy. It will test all its diplomatic skills to come out a winner. Russia too has been a time-tested all-weather friend of India. It has readily given us the latest weapons in its inventory. Over 60 % of Indian military equipment is of Russian origin. India has production lines of much Russian equipment in its arsenal including its MBT and air superiority fighters. 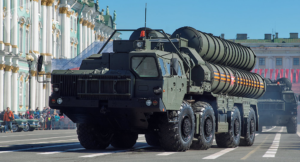 Russia has agreed to sell five S 400 Air Missile defence systems to India. S 400 with a range of 400 km, max altitude of 185 km and the capability to intercept a target travelling at Mach 14, is a system without a peer in the world. Keeping the security environment of South Asia in mind and the proliferation of long-range missiles with nuclear warheads in this region, India urgently needs S 400. The US has time and again stated that its purchase will jeopardise Indo US strategic relationship and it has not waived off its Countering America’s Adversaries Through Sanctions Act (CAATSA) for our purchase of S 400. This has put our purchase of S 400 in a quandary. As a sovereign nation, we have reiterated our commitment to the purchase of S 400. In case we buckle under US pressure it will be at the cost of our security needs and strategic relationship with Russia. US wants to wean away India from its dependence on Russian military equipment and to orchestrate purchase of its own equipment. But India has to realise that if it becomes dependent on US for its military hardware, then, given the history of sanctions US has inflicted on us and the world, to then disagree with US on any geo-political issue will have to be weighed keeping in view of our dependence on US equipment. Afghanistan is one arena where India has maintained a strategic presence since the era of Soviet-supported regimes in 1979. 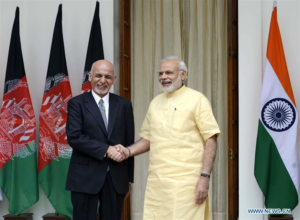 In the last 17 years too, India has been a major partner of Afghanistan. India’s closeness to Afghanistan has made Pakistan cautious of the defence of its Western border. It has also made it suspicious of the Indian support to separatist movements in its Western provinces. India seeks a peaceful co-existence with Pakistan. Pakistan’s response has been inimical which has made India adopt this Afghan policy. To safeguard its strategic presence in Afghanistan, India needs the continuance of US presence. By entering into a strategic partnership with US, India seeks to have a say/ influence in US decision to withdraw from Afghanistan, when it happens. It’s these dilemmas that challenge India in the coming months, where it has to balance its requirement of access to hi-end dual-use technology from US without losing out in its relations with China, Iran, Russia and Afghanistan. Foremost among the priorities is India should not, in its pursuance of strategic ties with the US, be seen by the world as a nation which has partly compromised its sovereignty and become an adjunct of the US. Without any waivers from the US sanctions the Indo US strategic deals will look like a one way street with the US as the gainer. The strategic convergence of India and US requires mutual appreciation of each other’s challenges and priorities. Very informative article highlighting the different contours of Indo – US relationship. India is certainly in a dilemma as to how to strike a balance balance between it’s age old relationship & strategic ties with Russia & Iran vis-a-vis the emerging requirement of having a friendly relationship with US in view of the growing influence of China in the Asia region. At this juncture, India requires a very high degree of prudent strategic & diplomatic steps to handle the existing situation.